Most experienced WordPress webmasters know about the necessity of creating multiple backups of their websites to protect their businesses against disasters. If you are storing your backup files on an unsafe location, you are taking a huge chance. Storing your files in the cloud would give you the opportunity to have a way out if multiple things go wrong at the same time. Backwpup: a versatile backup plugin for WordPress that supports Amazon S3, Dropbox, Microsoft Azure, and Rackspace storage services. 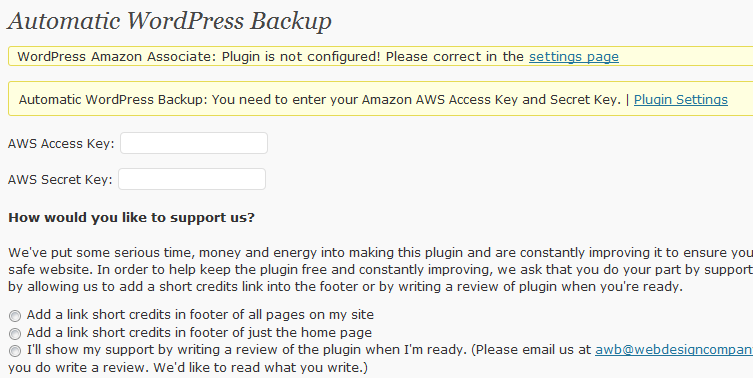 Automatic WordPress Backup: sends your WordPress files automatically to Amazon S3. It also has a restore function. 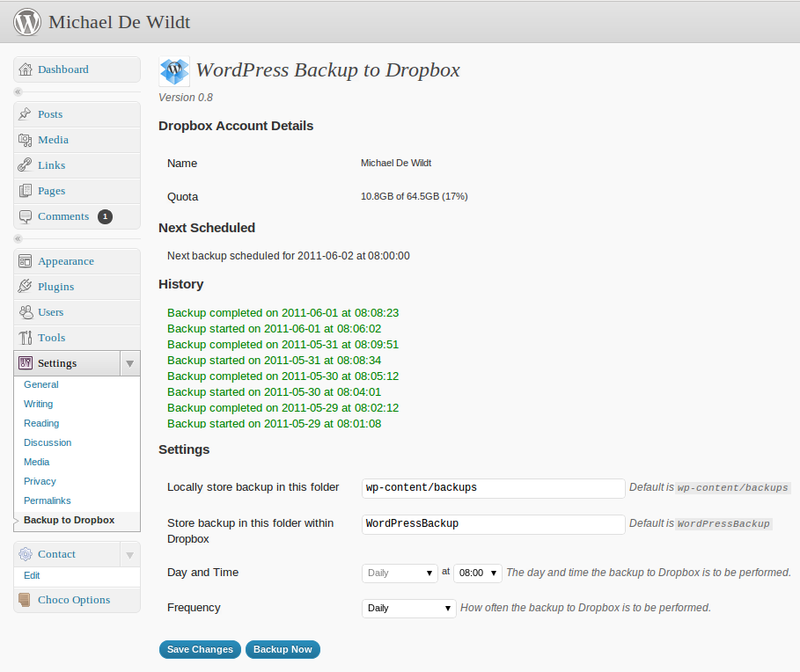 WordPress Backup to Dropbox: if you are storing your files on Dropbox, you can use this plugin to store your WordPress backups and databases in your Dropbox account. 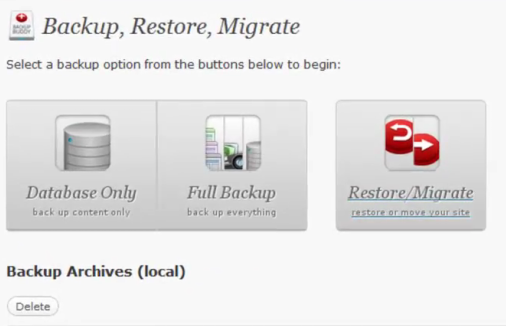 Backup Buddy: a premium plugin that gives you flexibility creating backups for your site. Amazon S3 and Rackspace Cloud are supported. It can be used for site migration too. Updraft: sends your uploads, themes, plugins, and your database to Rackspace cloud or Amazon S3. Lets you control how often to store backups and how many backup instances to retain. Thanks to the above plugins, you can automate your cloud backup process and fully protect your business against accidents. Considering that cloud storage is so cheap, there is no reason not to try this approach. Next post: Is Your Server WordPress 3.2 Ready?